Like so many Jamaican artists, singer Carlton Livingston was first exposed to the joys of music in church. Born in 1962 in St. Mary, Jamaica, Livingston sang in choirs and in an informal harmony trio (which later morphed into Knowledge) before entering the music business in earnest when he recorded "The Tale of Two Cities" in 1978 at Channel One. He eventually ended up working with several of the top Jamaican producers, including Coxsone Dodd, Winston Riley, Sly & Robbie, Clive Jarrett, and King Jammy, among others. His signature song, "100 Weight of Collie Weed," was a huge island hit in 1984, and was the feature song on the subsequent album Fret Dem a Fret. Livingston recorded sparingly thereafter, finally releasing Emotions in 1994. Four years later Livingston had an international hit when he recut his earlier "Rumours" track, this time with Shabba Ranks on board and production by Bobby Digital. Currently, Livingston makes his home in the U.S. and continues to record and perform at his own pace. 2014/09/14 - HISTORIC INTERVIEW with Willi "Armagideon Man" Williams. Willi Williams (also Willie Williams) is a Jamaican reggae and dub musician and producer. He is known as the "Armagideon Man" after his hit, "Armagideon Time", first recorded in 1977 at Studio One in Kingston. 2014/04/27 - Alpheus Direct Interview. Alpheus (Born Neil Martin, London, England) recorded his first album under the watchful eye of Coxsone Dodd. Since then he has recorded with Bim and Bost for French Label Special Delivery and Spanish producer Roberto Sanchez for A-Lone. The first Italian reggae artist to be internationally recognised, Alberto D’ Ascola (aka Alborosie) was born in Sicily in 1977. He formed his first band “Reggae National Tickets” in 1992 and they quickly reached success selling more than 200,000 records. They were the first Italian band to play at Sunsplash and Sumfest in Jamaica in the Nineties. After their success in Italy, Alborosie moved to Jamaica in 2000. Another of the unmisseble moments in the story of the show, interview Part1 and Part2 with the Legendary Mr. BB Seaton. Freddy Locks is a Portuguese songwriter that loves Roots Reggae. In 2007 he had his debut album reaching #1 on Portuguese National Radio Chart and his video on high rotation on MTV. Something rare for a reggae artist. NEREUS JOSEPH first emerged on the UK reggae scene in 1979 with the single “ROOTS & CULTURE,” as lead singer with the COPTIC ROOTS BAND. One Love Family are one of the most charismatic reggae bands from Portugal. Started in 1998, this family, whose members ages range between 8 and 47, has already played in the main Portuguese stages, with memorable performances in Paredes de Coura, Sudoeste and also in festivals in Holland and Spain. A special visit to the studios of SolarFM and Reggae Portugal program. 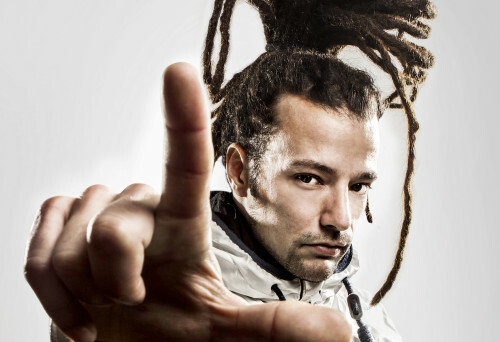 2012/05/20 - Freddy Locks Portuguese Reggae Artist Interview. 2012/04/09 - Exclusive Interview with Addis Pablo - The Son Of Augustus Pablo. Horace Swaby (21 June 1954 – 18 May 1999), known as Augustus Pablo, was a Jamaican roots reggae and dub record producer, melodica player and keyboardist, active from the 1970s onwards. He popularised the use of the melodica (an instrument at that time primarily used in Jamaica to teach music to schoolchildren) in reggae music. His album King Tubbys Meets Rockers Uptown (1976) is often regarded as one of the most important examples of dub. Addis Pablo is a reggae musician, the son of Augustus Pablo. He released his debut album "In My Fathers House" in 2014. Jones has established a long and fruitful career as a reggae vocalist, having initially been regarded as a lovers rock performer. He emerged in the late 70s as the lead singer with the Doctor Birds, but by 1980 Jones was pursuing a solo career. ‘Good Morning’ topped the reggae chart and signalled the beginning of a run of hits for the singer. His popularity spread from the UK to Jamaica where his reputation continued to prosper. Kussondulola is a Angolan reggae band, resident in Portugal. The band leader is the Angolan Janelo Coast. In 1995 they released their debut album, "Yeah-Well", which included hits like "Dancing In Huambo" and "Dangerous", among others. One of the unmisseble moments in the story of the show, interview with Luciano the Messenjah, one week before his 1st appearance in POrtugal for a show. One of the moment unmisseble moments in the story of the show, interview with Fauzi Beydoun, one week before the 1st appearance from Tribo de Jah in POrtugal for a show. Another of the unmisseble moment in the story of the show, interview with The Legendary Sir BoB Andy. Another one of the unmisseble moment in the story of the show, interview with the Michael Rose.